We haven’t frequented Hillside, NJ much other than traveling on NJ Route 22. Besides car dealers, fast food and gas stations – what else is remotely worth checking out? Hillside is a township in Union County, New Jersey, United States. As of the 2010 United States Census, the township’s population was 21,404, reflecting a decline of 343 (-1.6%) from the 21,747 counted in the 2000 Census, which had in turn increased by 703 (+3.3%) from the 21,044 counted in the 1990 Census. Hillside was incorporated as a township on April 3, 1913, from portions of Union Township, based on the results of a referendum held on April 29, 1913. The township was named for the surrounding hills. The town is split between area codes 908 and 973. According to the United States Census Bureau, the township had a total area of 2.761 square miles (7.150 km), including 2.750 square miles (7.122 km) of land and 0.011 square miles (0.028 km) of water (0.39%). Unincorporated communities, localities and place names located partially or completely within the township include Lyons Farms and Saybrooke. The township is located on the northern edge of Union County and is bordered to the northwest by Irvington and to the north and northeast by Newark, both in Essex County. Elizabeth borders Hillside to the east and southeast, while Union borders to the west. At the 2010 United States Census, there were 21,404 people, 7,112 households, and 5,533 families residing in the township. The population density was 7,784.0 per square mile (3,005.4/km). There were 7,536 housing units at an average density of 2,740.6 per square mile (1,058.2/km). The racial makeup of the township was 34.75% (7,438) White, 53.19% (11,384) Black or African American, 0.22% (47) Native American, 2.73% (585) Asian, 0.03% (7) Pacific Islander, 6.22% (1,332) from other races, and 2.85% (611) from two or more races. Hispanics or Latinos of any race were 17.63% (3,774) of the population. There were 7,112 households, of which 33.2% had children under the age of 18 living with them, 48.7% were married couples living together, 22.0% had a female householder with no husband present, and 22.2% were non-families. 18.6% of all households were made up of individuals, and 6.6% had someone living alone who was 65 years of age or older. The average household size was 3.01 and the average family size was 3.41. In the township, 23.7% of the population were under the age of 18, 9.7% from 18 to 24, 26.9% from 25 to 44, 27.9% from 45 to 64, and 11.8% who were 65 years of age or older. The median age was 38.0 years. For every 100 females there were 86.8 males. For every 100 females age 18 and over, there were 84.3 males. The Census Bureau’s 2006-2010 American Community Survey showed that (in 2010 inflation-adjusted dollars) median household income was $55,520 (with a margin of error of +/- $5,760) and the median family income was $67,492 (+/- $5,643). Males had a median income of $44,421 (+/- $3,088) versus $42,927 (+/- $4,392) for females. The per capita income for the township was $35,486 (+/- $3,349). About 9.4% of families and 11.7% of the population were below the poverty line, including 15.7% of those under age 18 and 13.3% of those age 65 or over. Portions of Hillside are part of an Urban Enterprise Zone that was one of seven established by legislation in 1996. In addition to other benefits to encourage employment within the zone, shoppers can take advantage of a reduced 3½% sales tax rate (versus the 7% rate charged statewide) at eligible merchants. As of May 2010, the township had a total of 48.48 miles (78.02 km) of roadways, of which 38.72 miles (62.31 km) were maintained by the municipality, 5.57 miles (8.96 km) by Union County, 3.47 miles (5.58 km) by the New Jersey Department of Transportation and 0.72 miles (1.16 km) by the New Jersey Turnpike Authority. 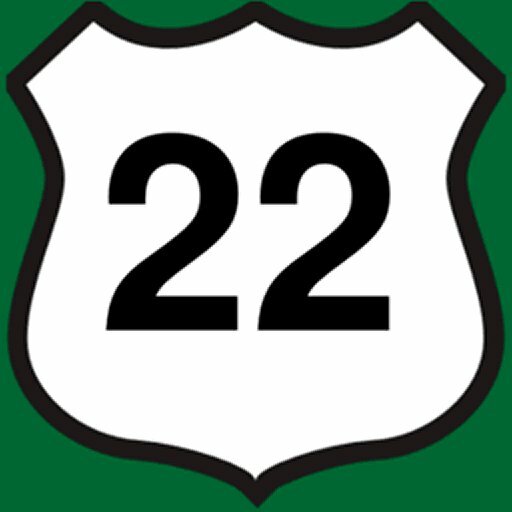 Garden State Parkway, U.S. Route 22, and Interstate 78 are located in Hillside. A toll gate is located on the northbound lanes of the parkway, approaching the interchange for 78. The New Jersey Department of Transportation finished a project that added previously unavailable connections with the 2010 completion of a ramp that lets vehicles heading south on the Parkway connect to Interstate 78 heading east, which followed a project completed in 2009 that allowed drivers heading north on the Parkway to access Interstate 78. New Jersey Transit offers bus service to the Port Authority Bus Terminal in Midtown Manhattan on the 114 route and to other New Jersey points. There is one train line that passes through the township but there are no stations. The Irvington Branch of the Lehigh Valley Railroad breaks off of the mainline. The closest train stations are Union Station in Union, and North Elizabeth Station in Elizabeth. Newark Liberty International Airport is approximately 2 miles (3.2 km) east of Hillside. William Bendix (1908–1964), actor (Lifeboat, Life of Riley), lived here in the 1930s. Blanks 77, street punk band. Marquis Cunningham (born 1989), finalist on So You Think You Can Dance. Michael V. Gazzo (1923–1995), playwright (A Hatful of Rain) and Academy Award-nominated film actor (The Godfather Part II). Marc Leepson (born 1945), journalist and historian, author of Saving Monticello, Flag: An American Biography and Desperate Engagement; editor of The Webster’s New World Dictionary of the Vietnam War. Rollie Massimino (born 1934), college basketball coach, led Villanova to 1985 NCAA Men’s Division I Basketball Championship. Jerron McMillian (born 1989), NFL safety for the Green Bay Packers. Mr. Len (Leonard “Lenny” Smythe), hip-hop artist, former member of underground group Company Flow, current member Roosevelt Franklin. Kendall Ogle (born 1976), 1999 draft pick of NFL’s Cleveland Browns. Robert Parham (born 1966), kickboxing former World Kickboxing Champion and actor. Ralph H. Spanjer (1920–1999), U.S. Marine Corps Major General. Tab Ramos (born 1966), footballer and member of the United States’ 1990 and 1994 World Cup teams; Hillside was childhood home. Phil Rizzuto (1917–2007), Hall of Fame baseball player and broadcaster; longtime Hillside resident. Arthur Seale (born 1946), serving life sentence for 1980s kidnapping, murder of Exxon oil executive Sidney Reso. Tame One (Rahem Brown), hip-hop artist, member of supergroup The Weathermen. Zygi Wilf (born 1950), real estate developer, principal owner of NFL’s Minnesota Vikings, and younger brother Mark Wilf, president of the Vikings. Hela Young (1949–2002), Miss New Jersey 1971, New Jersey Pick 6 television host. The Evergreen Cemetery was mentioned in Weird NJ for an incident in 1902 when after a downpour, bodies were found on the streets.